Often the only way to make a property removal manageable and safe for items in transit is to use specialised assistance. In most cases, although it might not seem so at first glance, professional removal services will even save a decent amount of money as customers will not have to incur all the additional, small expenses of having to organise and conduct the relocation on their own. Removals Chislehurst is a specialised moving company dealing with pretty much all types of residential and commercial property removals. Having dealt with different scale and complexity removals has made us efficient and reliable, needless to say knowledgeable and experienced. In order to take the guesswork out of moving and ensure everything is wrapped up, loaded and transported safely from A to B without any costly delays or unnecessary hassles, Removals Chislehurst employs only qualified professional movers and experienced drivers. Extra peace of mind is always good, for everyone. The company holds full liability insurance and is fully licensed to operate nationwide. We have countrywide coverage on all deliveries, and do pickups throughout London and surrounding areas. As we need to complete the relocation within the specified amount of time and ensure no costly delays, all stages of the removal will be coordinated by our call centre. Adequate transportation is one of the essential aspects of any well organised removal. Being experienced professionals, we understand the importance of sufficient technical capacity. This is why we maintain a large number of different sized cargo vehicles. All of our vans are cleaned after every job, fitted with hoists and latching equipment for lifting and securing heavy loads. Vehicles also make use of satellite navigation systems. We are available for booking by customers in the BR7 postal area seven days a week, under convenient hours. Not having to deal with removal preparations, and the removal itself means only one thing – fewer hassles and more free time to be out and about. Chislehurst is an area of southeast London. The former manor house of the area originally belonged and was named after a local antiquarian named William Camden. It is interesting to point out that the abundance of green open space in Chislehurst, namely the common, is due to the rejection of development plans by local residents. In the late eighteen hundreds, local people said no to plans to build up the common thus preserving it construction-free indefinitely. Perhaps the most popular and frequented local attraction is Chislehurst Caves. The caves are believed to be of prehistoric origin. The caves were also sort of mines, as they were used throughout the centuries for mining flint and chalk. However, during the bombing raids of WWII people used them almost every night as an air raid shelter. 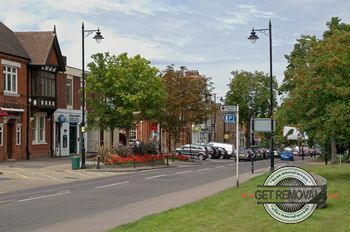 Modern day Chislehurst is considered a wealthy and affluent suburb, and one of the most expensive places to live in Bromley.